Yummy, finger-licking cakes are all Toto's specialties. But Sisi, the cheeky cat, wants to taste them and enjoy their flavor as well. He needs to do good copies of Toto's cakes so he cam make his own delicious thee-layers cakes. So let's join Toto and Sisi in the kitchen, take a peak at Toto's cake and replicate it on Sisi's plate. Toto doesn't mind, since he is very happy someone appreciates his cooking talents and cake masterpieces. Decorate the cake using fruits, wiped-cream, candies, candles and even firecrackers, following Toto's recipe in each level. Sisi wants Toto's cake, so he is going to get it, right? The results are of course super yummy, so enjoy! Today we must prepare food for guests. You have been eavesdropping on what they have ready to eat chicken wings and garlic bread. You must use ingredients from the recipe to prepare a tasty dish. After the guests will eat a food that you prepare them they will give their opinion on how the meal was tasty, so you should give your best to cook as well. Johnny Depp and Angelina Jolie want to kiss each other. Make this pair express their love by clicking your mouse, without getting noticed by Mr.Paul Bettany. Be alert or you are in trouble. The mermaids princess lives underwater with all the oceanic creatures. She is very popular there and she loves her magical world. Every month she hosts a party for her close friends and all the mermaid shows up with new outfit and glamorous look. She has no one to help her so she needs some help coming from you because here above the water the fashion is more advanced than there. Make her look like a fabulous princess. Clawdeen needs a special treatment for her monster face, a real makeover! Enter the complete spa treatment and clean her skin for a spooky fresh look. After spa, the make up stage will leave you speechless with lots of glittery eyeshadow and amazing lashes that can be matched with Clawdeen's mood. Choose a stunning make up art and move forward to the dress up part. You know Clawdeen is a fashion doll, make sure she gets all her wishes fulfilled by an amazing dress and fur combination! Belle and her friends are going to a party in the castle\'s garden. Lots of important people, princes, princesses and other royalties are coming at this party so it\'s a big event for Belle. Her mother has already prepared an outfit for her but she hates it. She wants something more sophisticated because she is tired of the boring outfits. Give Belle a princess look so she can never forgets it. Cinderella is getting ready for the grand ball at the castle. Make a stunning hairdo for Cinderella to impress the prince and charm him at first sight. You got limitless possibilities to style her hair with 7 hairstyling tools and 24 hair dyes. That blonde beautiful hair can be cut, trimmed, curled and styled as you wish for Cinderella's most important night, so be creative and make outrageous haircuts! After that you can help the fairy choose Cinderella's dress and accessories. It's all magic! Merida, the Scottish princess is making a run for it in this Brave running game and you will be helping her make it a successful one by jumping and sliding with her in order to avoid all the obstacles in her path. Celeste is the youngest daughter of the underwater\'s King. She is celebrating her sweet sixteen party this weekend and she wanna look marvelous. Her best designers came to make her outfit and they come up with few brilliant designs. Take a look at them and help her choose which one to wear for a big night. Than dress her up, give her a trendy hairstyle and check out the royal jewelries and see which necklace and earrings fits with her wardrobe. Good look! Did you ever wonder how come Draculaura looks so good every time she gets out of the Monster High castle? Enter Draculaura's bathroom in Monster High Real Makeover and give her the most delightful and relaxing spa session ever. The bottles with magic potions will make Draculaura's face clean, beautiful and ready for some cool and spooky make up! You have loads of options for the hairdo, freaky clothes and shawls. Crazy skull earrings, elegant gloves and dark glasses will complete this outfit and will make this real makeover fun until the very end. Hey kids, in this cooking game you will learn how to prepare this delicious dessert: Shoofly Pie. This dessert is an open pie filled with a mixture of flour, butter, brown sugar, molasses then baked. Most children love pies and cook this recipe will be very funny. You must have prepared all the ingredients then follow instructions in the game. Certainly you get a delicious dessert, exactly as you want. 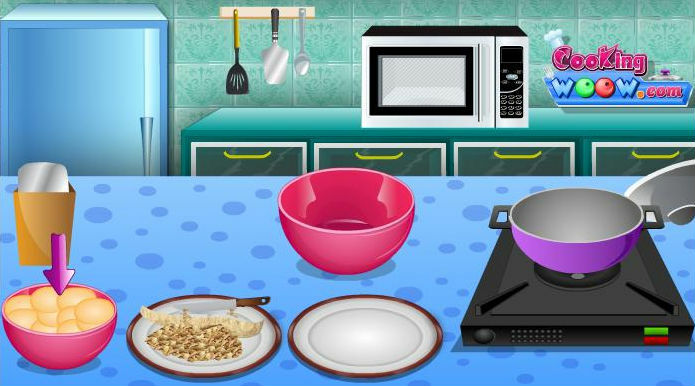 Enjoy this cooking game for girls. The great series Real Haircuts is back and it's featuring one of the most stylish and cool dolls ever! Create an awesome hairstyle for our doll using awesome hairstyling tools, glitter, hairpins and much more. Trim her hair, curl it up and dye it in over 20 different colors and shades to stand out. The Bratz doll has a great sense of style and a big passion for fashion so choose a trendy outfit from the closet and match it up with groovy accessories. There is no limit in what you can create by playing Bratz Real Haircuts, just unleash your imagination and get to pro crazy hairstyling! Who doesn't love toffee tart ? I think all kids love this dessert. In this cooking game for kids you will see how toff tarts are made. This is a delicious toffee tart with crunchy roasted nuts that can be enjoyed with tea at breakfast. Yummy. First you need to preheat the oven then start prepare the crust. After the crust is done put it in tart tin and press it down with your fingers so will fit nicely. Using a knife cut edges are on the outside. For the rest of recipe follow the game instructions step by step. Good Luck. Frankie and her friends are going to the beach this afternoon to get some sun tan because the want to have a little more color in their skin. The other girls are ready to go but Frankie is a bit late because she couldn\'t decide what to wear to the beach. Take a look through Frankie\'s clothes and choose a summer one for her. She is not that good when it comes to fashion but with your help she can be the master of it. Enjoy a last summer day to the beach because the autumn is almost here! The Banana Bread is moist delicious with loads of banana flavour. In this cooking game for girls you will learn how to cook this Banana Bread. Help the little monkey to escape from the cage and then have to buy the ingredients needed to prepare this recipe. Once all the ingredients were purchased, you will start making banana bread. Follow the monkey instructions step by step. You need to add ingredients one by one then use the mixer to mix. You get a dough that will have to sit in a preheated oven. Let bread cool a few minutes then cut few slices, place them on a plate and garnish with a few pieces of banana. Barbie is expected to a party but now she is in very big troubles. She doesn't know how dresses to wear, what hairdress and accesories to choose. After you get dressed Barbie, you can choose a pair of hose, some shoes and a camera or a purse that you will hold in your hand. Also, when you done the dress and the make up, you can change the background, enjoy! Mexican Pizza is a delicious meal and the secret of this recipe you can find if you play this cooking game. First you need to purchase the ingredients for this special pizza from a Mexican grocery. Jimmy will help you thru all the process and will show you all the steps for cooking a Mexican pizza. First of all you need corn tortillas, beef and all the delicious taco toppings you can imagine! Follow the indication in the game and have fun while you prepare a spicy pizza! Good luck! Selena Gomez and her closest friends are throwing a party at the pool tonight. The secret of this party is that the lovely girls planned this party because they are crazy about some guys from school so the boys are on the guests list. It\'s an important evening for the girls and they are working really hard to make their looks be perfect. Give Selena a helping hand with the manicure because she can\'t do it by herself. You have the chance to work with a celebrity so don\'t ruin this! Hey, in this cooking game you will lear how to cook an apple cake. Very delicious desert, very easy and simple with a spectacular flavour. Make sure you have ready all the ingredients then you can start cooking. Carefully clean all apples, then using a grater cut in to small slices each apple you have. Prepare dough using a mixer to mix apples sliced, 2 eggs and ingredients present in the game. Follow step by step in game instructions to make sure that you follow all the recipe properly for a very tasty result. Good luck! Take care of the little baby while she's getting her first bath. Fulfill the baby's wishes at the right time so she doesn't start crying, bath her using a bubble-making shampoo and let her play with cute rubber ducks. After the diaper changing phase you can dress her up for the playground, funny toys will keep her happy! This fun simulation game comes with a lot of stages, making everything more exciting for the baby and the girls! Crazy Fruits Killer is that kind of game that will addict you to it from the very first round. The fruits in this game represent the summer\'s flavors and your mission is to cut them all in order to make a fresh fruits salad. You don\'t need that kind of mess in your kitchen that\'s why you can have this magical place where you can cut its using your imagination. Pretend you are a ninja killer and throw your knives in the air but make sure you touch the fresh fruits. Watch out because someone is throwing bombs in the air and you have to protect yourself from its. Play as Bratty Betty in this brand new game! You've taken your sisters doll without her knowing, make the dolls lips black, cut her hair and ruin the doll. Don't let your sister catch you with the doll or else you'll lose! Molly is a young beautiful woman who loves cars. She is crazy about them and she doesn\'t miss any auto show. This year she intends to go in Geneva for the International Geneva Motor Show because she has always dreamed about it. Her passion for cars isn\'t new so she has been collecting some pretty car suits until now. She is too excited about the auto show so she can\'t decide which outfit is more appropriate for this trip. Choose any dress you want because Molly has a model body so each dress looks perfect on her. Hey girls! Since is so hot outside we present you some nice and fancy outfits that you could wear on this heat. Summer is the perfect season for dresses, short skirts and pants. Along these you have to decide what shoes you want to wear, something comfy but also stylish. In this dress up game you have all what you wish for: the latest summer collection of outfits, try them all and combine pieces of clothes until you have the perfect match! Don't forget about an important step which is accessorizing your outfit. Have fun! Circus team Chef will prepare a special recipe for the tonight event, Fruit Salsa and Cinnamon Chips. This is an easy to make, very tasty fruit salsa and cinnamon tortilla chips. It is a great as an appetizer or a snack. You can enjoy them anytime. In the first step of the game, you must help the chef to buy ingredients and then you proceed to prepare recipe. If you follow step by step the in game instructions you will get a delicious food. Think you can handle? We wish you success. Our dyno family had a baby dinosaur that is quite hungry. His mother wants to prepare a delicious meal, namely Grilled Salmon, for her cub. In the first step of the game you need to buy ingredients from the store and then you proceed to cooking step. You will prepare the sauce, then put the salmon in this sauce, and place it in the fridge for several hours. Then it must be placed carefully on the grill for a short period of time. You will get a delicious meal. Good Luck! Ella's Wedding Cake is one of the most diverse cake decoration games you've ever seen! Get in the kitchen and prepare the most amazing 3 layered cake for the lovely couple's wedding. Use your sense of style and taste to create a cake like no other! The design can include sparkly diamonds, shiny ribbons, beautiful flowers and even feathers for a more stylish look. After putting everything together, Ella has a great idea for the final touch - fireworks! 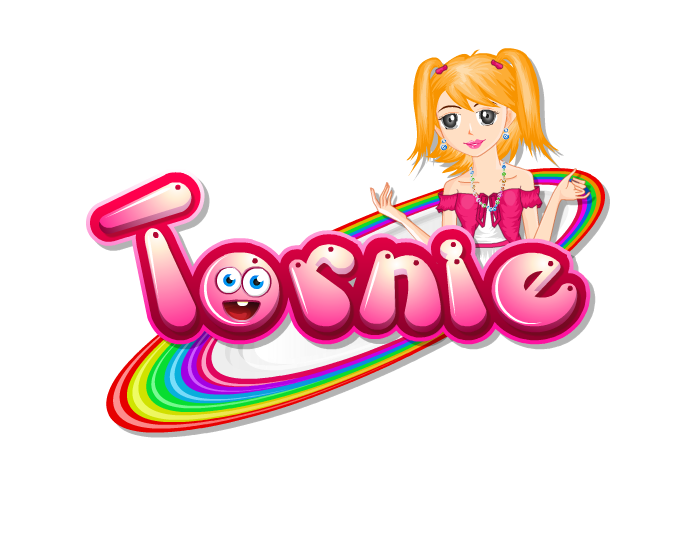 Welcome to Tornie.com. She is a nice girl like you. She is a diligent and obedient student. Always try to help her mother in the kitchen. The school is only good grades and is highly regarded by teachers. She loves to spend free time at the cinema, to walk in the park, to do shopping with her friends. Tornie summer vacations go along with the best colleagues and friends to relax in the mountains and the sea. Tornie is a role model for girls around the world. Tornie has many fans and their number increases considerably. 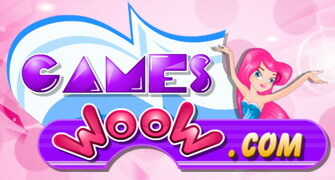 Together with the Torne you enjoy the most beautiful and newest games for girls added daily.